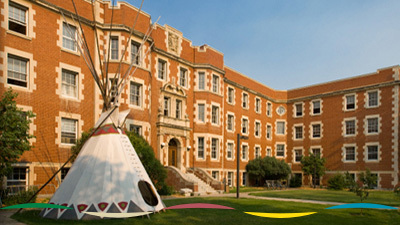 The Faculty of Native Studies is located in the recently-renovated Pembina Hall, one of the University's oldest historical buildings. 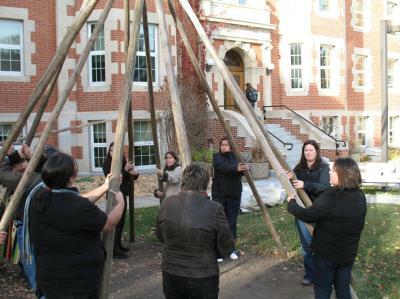 Faculty, staff and students annual fall gathering to take down the tipi. The Strynadka/Brady Reading Room is to provides reference materials and services to Native Studies students, alumni, faculty and staff. The Strynadka/Brady Reading Room provides reference materials and services to Native Studies students, alumni, faculty and staff. The Reading Room Resource List is a static spreadsheet that is viewable in all web browsers. The Reading Room Resource list is intended to provide an overview of the material available at the Strynadka/Brady Reading Room in the Faculty of Native Studies at the University of Alberta. The Reading Room is located in 2-19 Pembina Hall. If you have any questions about the Strynadka/Brady Reading Room materials please contact us by email.